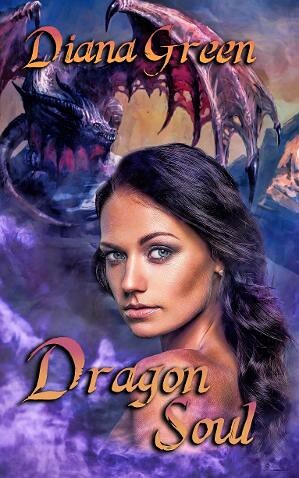 I didn't expect to really like this fantasy about shape shifting dragons who can mind link and humans but I did. That some of those humans were also capable of magic made them unacceptable to their human counterparts and different from all the others. Lady Orwenna is one of those AND chaffed at the way men treated women--using them to their own ends without even a by you leave!! She did what she wanted--even if it might land her in a heap of trouble! 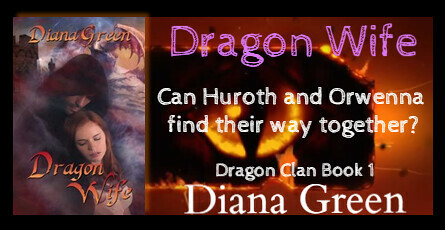 Huroth, the chief of the dragons, fell for Lady Orwenna--but could she learn to trust him? Could this improbable romance ever come to fruition? Read the book to find out! The ending will make you want to read more---which I will be doing once it is released!! The clan is waking. After centuries of spellbound sleep, dragon-shifters are returning to the mountains. They are few in number, and the outside world has become overrun with humans. Huroth, the dragon chieftain, recognizes a need for his kind to adapt, by forming alliances and mate-bonds with humans, but his clan is divided. From the first time she meets him, Lady Orwenna is drawn to the magnificent chieftain. The mind link he forms with her is both fascinating and frightening, as is the powerful attraction she feels for him. If only she knew what was in his heart. 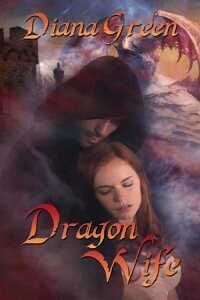 Does he want her for the woman she is, or for her magical abilities? When war breaks out between kingdoms and ancient enemies of the dragons resurface, the clan will be tested. In the midst of uncertainty, can Huroth and Orwenna find their way together? 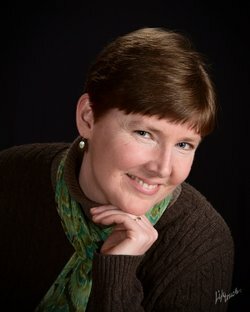 Diana’s books are mostly romance, in the fantasy and science fiction sub-genres. She has been a finalist for the CRW Award of Excellence, the Next Generation Indie Book Awards, the Aspen Gold Published Novel Contest, the Chatelaine Awards, and the Heart of Excellence Readers’ Choice Awards. "Everyone on my Newsletter mailing list is entered monthly for free e-book drawings. The winners can choose from any of my titles. If you want to be included in a quarterly mailing list, just let me know in your message using the Newsletter link above. Your contact information will not be shared with anyone." I received a mobi editipn of this book for review purposes only. All opinions expressed are my own honest opinions. For more information please check my Disclosure Statement. Our giveaways are in no way sponsored or promoted by Facebook. Sounds like a great book even though I don't normally read fantasy. Now I need to know if he likes her for her or for her abilities. I loved Diana's previous book so I think I would definitely enjoy this one too. I have not read any Diana Green books before. The cover of cover of Dragon Warrior is eye catching! 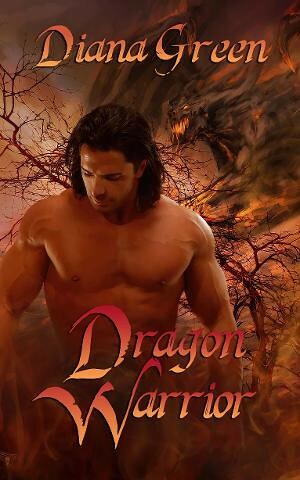 I like romance and fantasy and dragons and shape shifters. It's interesting to put them all together in a novel. I would give it a read and then decide if I want to read more. Not my usual genre but your review makes it sound very intriguing! Looks like an interesting book. I love the cover design. Sounds like an interesting book for people that follow that topic. The artwork is really neat! This sounds like a fascinating read! I need to add it to my list to check out! I just love dragons and a good romance! Your review is captivating...I'll put this on my reading list. I like the Dragon Warrior book cover, because of the guy. I hope to check out the book. I think my favorite cover is Dragon Soul. I have not read any books by Diana Green. I like the Dragon Soul cover the best. I like that expression in her eyes. I haven't read a book in this genre in some time. I will have to check this out. This is way outside of what I normally read, but since you said you liked it, maybe I should give it a chance. This isn't my normal genre of book, but it does sound like a good read. I'm ready for spring break with fun reads and a poolside seat. What an interesting read! Sounds like the perfect book for a cold winter day. Thanks for the giveaway! I like the Dragon Soul cover because the female is so pretty! I have not read the books yet! No, I haven't read any of these yet... I like the cover of Book 3: Dragon Soul. I have not read any Diana Green books yet. Haven't read her books yet but I will now. I haven't read any. Dragon Soul has a great cover. The colors and shading really bring it out. I haven't read this author before, but the cover for Dragon Soul is my favourite. Dragon Wife cover is my fave. Thanks for sharing. The Dragon Soul cover is my favourite. I love the colours. And no, I haven't read any Diana Green Green books before, but I'll have to give her a go. I think that I like the Dragon Soul book cover the best. It has an awesome dragon on it. I am new to Diana's books. This series looks good to me. Dragon Soul cover is best for me. Have not read her books.